Havana 1957 is unlike any other. Offering an authentic taste of Cuba, Havana 1957 is a new breed of restaurant in Miami, Florida offering guests the chance to spend un dia en la Habana and to experience the glory and glamour of old Cuba during 1950s. Our restaurants combines the flavors of authentic Cuban cuisine, classic Cuban music and vintage memorabilia bringing Cuban Nostalgia to each neighborhood. Havana’s biggest legends and famous prints decorate the restaurant from ceiling to floor, yet one of the most outstanding features of the restaurant is The Mojito Bar. 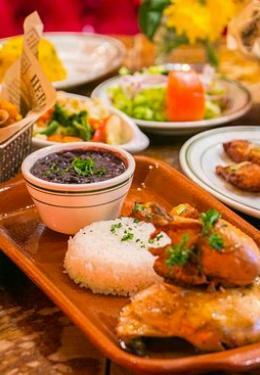 Havana 1957 also offers delicious daily specials and a wide selection of seafood plates, sandwiches, salads, soups and appetizers such as croquetas and tostones rellenos, irresistible desserts, and let’s not forget the flavorful bar bites. Tell your family and friends and spend Un Dia en la Habana with us! Buen Provecho!